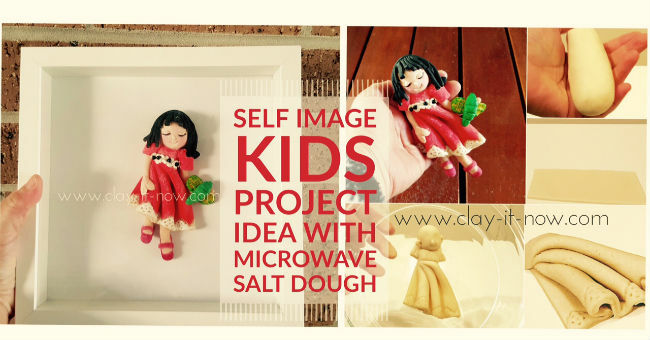 Self image figurine project suitable for kids to express themselves in a different way :). This is like 2D self portrait for kids and family to admire once it's nicely framed and hung on the wall. I am sure the kids and yourself will have fun making it together :) Prepare yourself for a little surprise on how the kids see and express themselves. 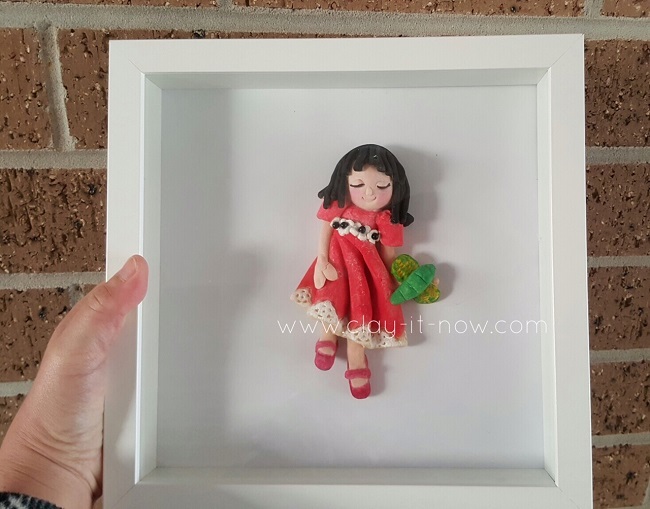 In fact, they can make personalized 2D figurine images of mom and dad or other family members as a gift or keepsake. 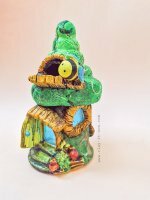 This project was made with salt dough which will last for long if you coat it with good varnish after it's fully dried and painted. I put the dough in microwave piece by piece in short time like 30 second or 1 minute the most to avoid swelling or cracks. 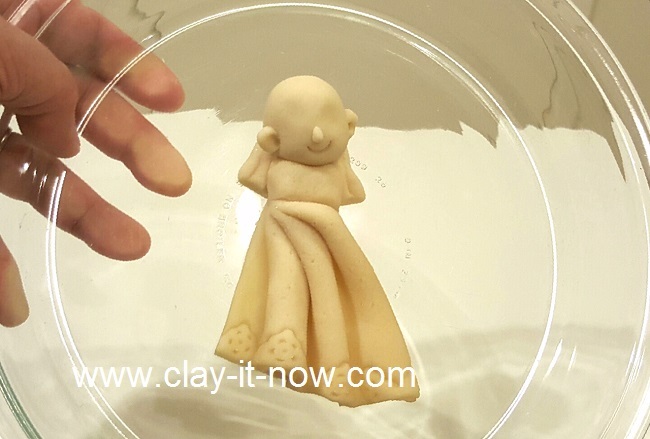 Check out my salt dough craft recipe for the 3 drying options mentioned above and choose your preference. We all know that we only need 3 items to make salt dough. Those are flour, salt and water. However, the composition of those materials seem affecting the finish look of salt dough. I mean, if we use more salt and bake it you'll have very hard figurine like stone but the surface a little bit rough/ coarse. But, it should be okay after sanding. 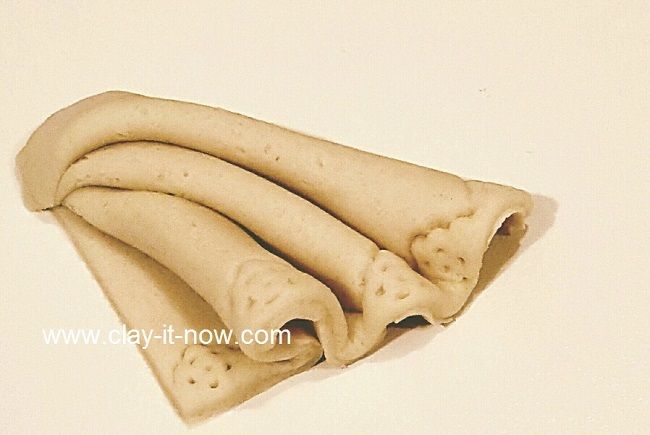 If you use too much flour, finished dough will look smoother but sometimes it's not as hard as it should be. It becomes like baker's clay. Alright! I start with the girl skirt because it's quite thick after some folds. I would suggest you to put the skirt straight away on flat surface suitable for baking for microwave so you don't need to lift it up until the whole part assembled and dried. I would say there are many design possibilities of making sweet skirt for a girl. I choose a simple one like below picture. From skirt, I worked up to the torso and head. Then, legs and arms. And, that's it! chose nice shadow box to frame your craft and hang it in family room or kid's room.